The electrical insulator material provides insulation so internal electric charges do not flow freely; very little electric current will flow through it under the influence of an electric field. This contrasts with other materials, semiconductors and conductors, which conduct electric current more easily. The property that distinguishes an insulator is its resistivity; insulators have higher resistivity than semiconductors or conductors. Request a quote on electrical insulators and fabrics for your project, or contact Fabri-Tech for additional information. Using our advanced quality electrical shielding materials Fabri-Tech will work with you to create the ideal EMI shielding solution for your project needs. 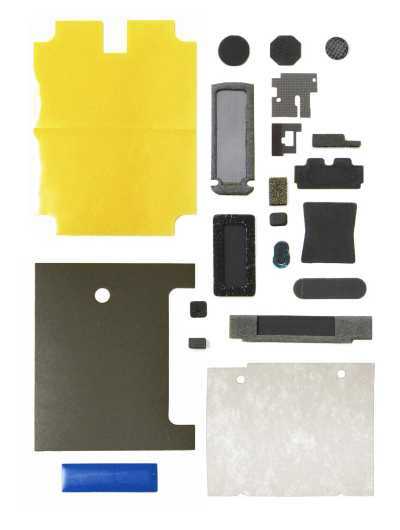 No matter what the protective purpose, all the electrical shielding material and fabric we work with is completely customizable to meet the demands of your product design. This includes shape, dimensions and thickness, all of which can be adjusted to meet your needs. Fabri-Tech’s range of available EMI shielding material options allows you to design your products the way you want and need them to be. As with everything we manufacture, our electrical insulators and fabric products are custom made to match your design requirements. However, you won’t have to pay the exorbitant prices usually related to “custom” work. Fabri-Tech has the experience, the know-how, and the technological expertise to produce custom parts and components for our customers at reasonable prices. Fabri-Tech’s expert staff will work with you to select the right EMI interface and shielding materials for your project. No matter what your design requires, we have the electrical insulators to provide electrical and EMI shielding that will exactly match your unique specifications. There are essentially no limits to what we can create for our customers. Contact us today for more information on our electrical insulators and EMI shielding capabilities, or request a quote today.